Today Holland America Line took delivery of ms Koningsdam 2016, officially making it the first Pinnacle-Class ship in the fleet. 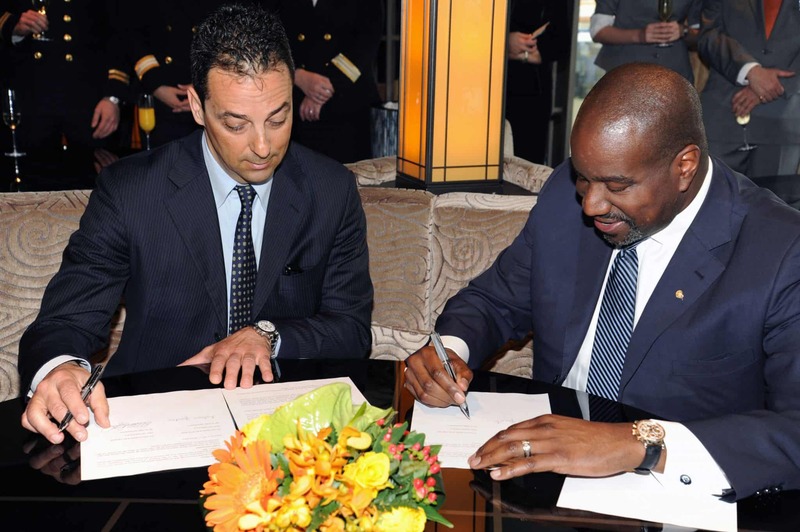 The signing ceremony took place at Fincantieri’s Marghera shipyard in Italy. The Dutch flag was raised on the ship for the first time following the signing since Koningsdam is registered in the Netherlands. The ship will soon make its way to Civitavecchia (Rome), Italy, for its premiere voyage departing April 8. Following a series of premiere Mediterranean voyages, Koningsdam‘s official naming ceremony will take place in Rotterdam on May 20. Following the naming festivities in May, the ship will head to its summer home port of Amsterdam and sail a series of northern Europe and Baltic cruises before returning to the Mediterranean in September. 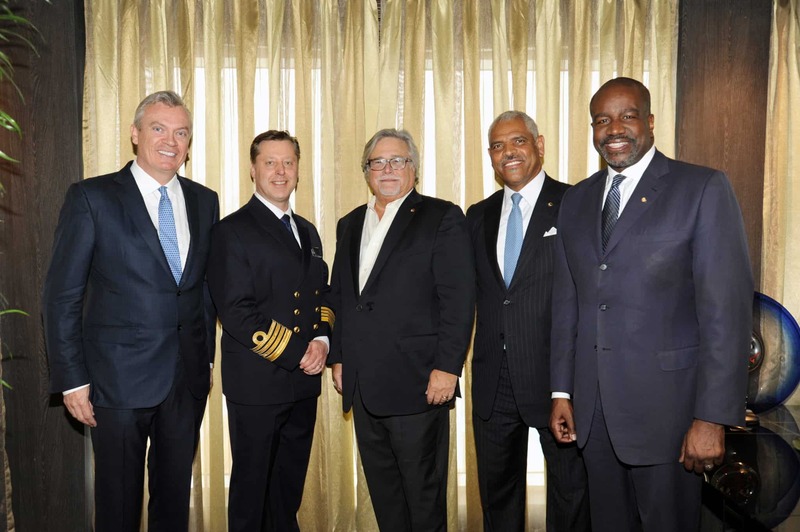 In the fall, the ship will head across the Atlantic Ocean to Fort Lauderdale, Florida, where it will homeport at Port Everglades and spend the season exploring the Caribbean. The 99,500-ton vessel accommodates 2,650 guests and is the ultimate expression of Holland America Line’s brand evolution. Koningsdam debuts several innovative concepts and new public spaces and venues while still featuring popular amenities guests associate with the cruise line. 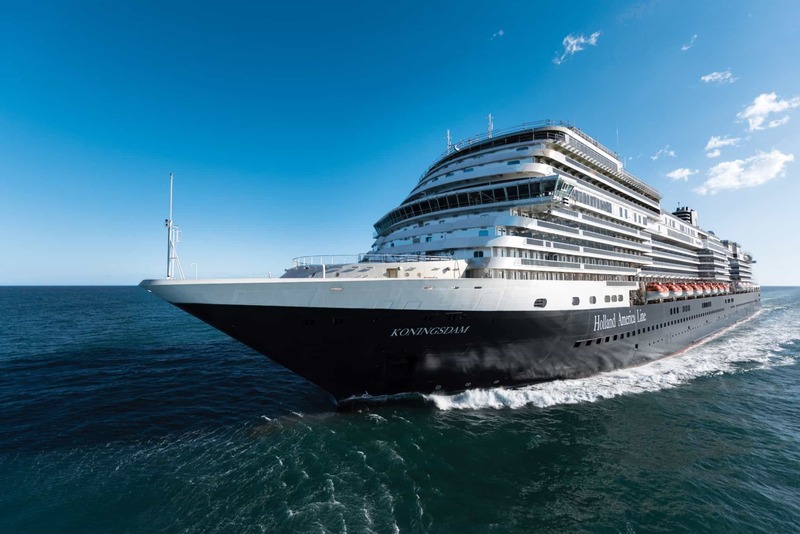 The ship will feature Holland America Line’s first purpose-built staterooms for families and solo travelers among its 1,331 guest accommodations. Guests will delight in new fine-dining options at alternative restaurants Sel de Mer–a French seafood brasserie–and an immersive farm-to-table concept dinner experience in the Culinary Arts Center, presented by Food & Wine magazine. Grand Dutch Cafe debuts onboard with traditional Dutch treats and European beer, while a redesigned Lido Market with themed serving stations revolutionizes the buffet experience. A stunning main dining room is a focal point of the ship, and favorites return such as Pinnacle Grill, Canaletto Italian restaurant and Pan-Asian Tamarind. Onboard entertainment will be taken to a new level with the energetic Music Walk area featuring all genres of music showcased in venues including: Lincoln Center Stage, offering chamber music nightly; Billboard Onboard, where live musicians rock the crowd with chart-topping hits; and the popular B.B. King’s Blues Club in the Queen’s Lounge, bringing the best of Memphis music to sea. With the 270-degree LED projection at World Stage, new concepts for show-time performances will immerse the audience in panoramic visual and sound effects.